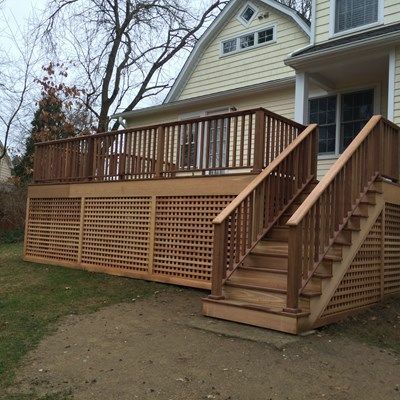 For this project the customer selected Cumaru decking boards & railings. 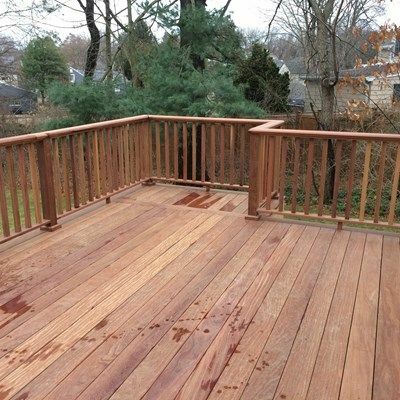 CT Deck Pros only brings in FSC (Forestry Stewardship Council) Certified materials when constructing our Brazilian Hardwood Decks. 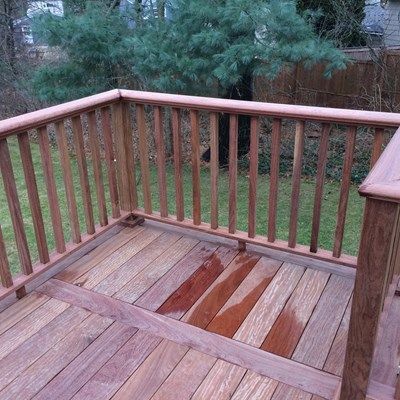 Other hardwoods that we use include IPE, Jatoba & Tigerwood. We dismantled the old PT deck, framing & all to construct this beauty. 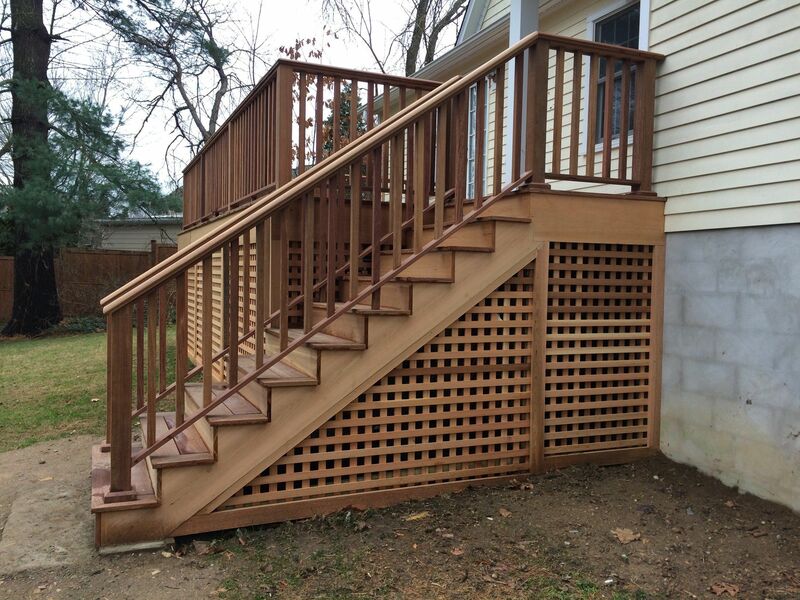 The new deck is deeper than the previous one, the stairs have been relocated & a sweet grill "bump out" has been added to increase the functional living space of the deck. 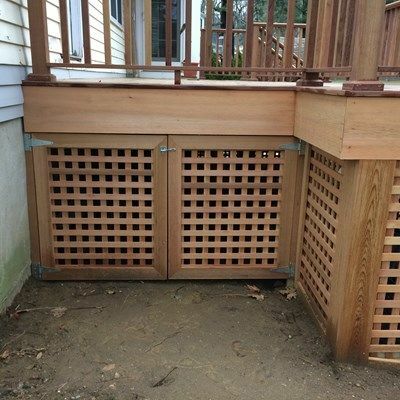 Also included is a very nice lattice gate to allow for easy access underneath for storage.